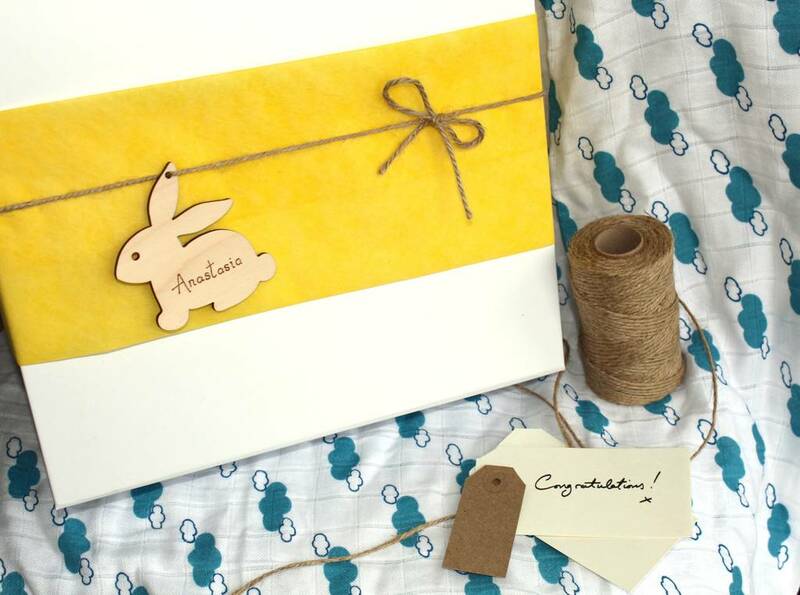 A stunning baby gift box, hand wrapped with care, with unisex presents for baby, and including a special gift for mum. 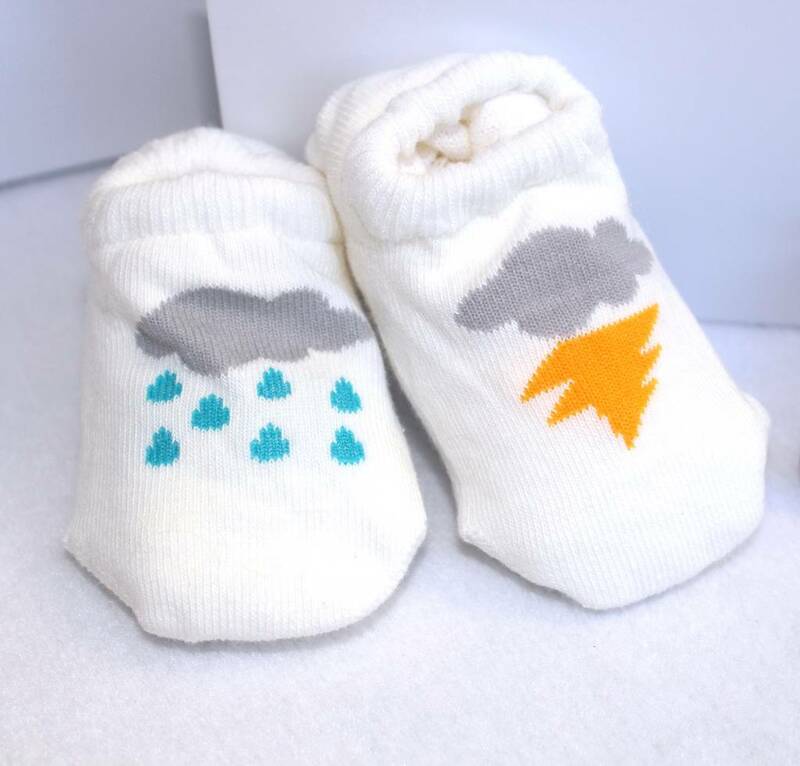 1 Pair of cotton rainy day socks with anti slip sole to help those first steps and a sweet raindrop detail. 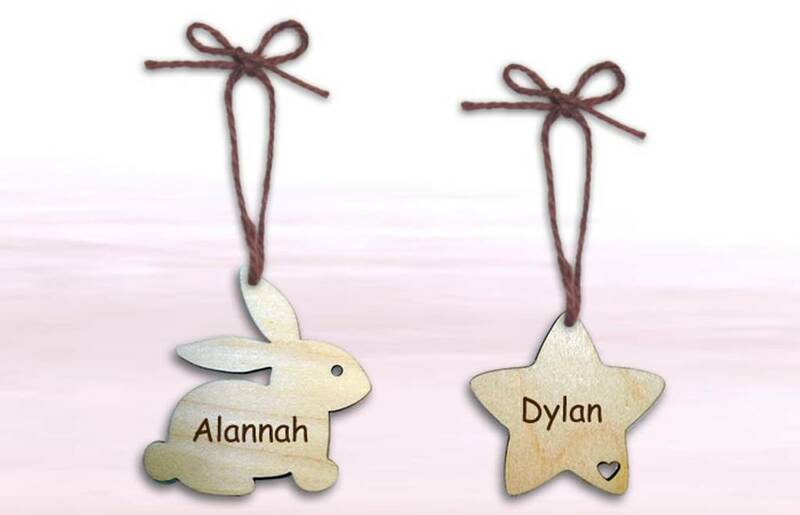 A lovely little addition to any outfit. 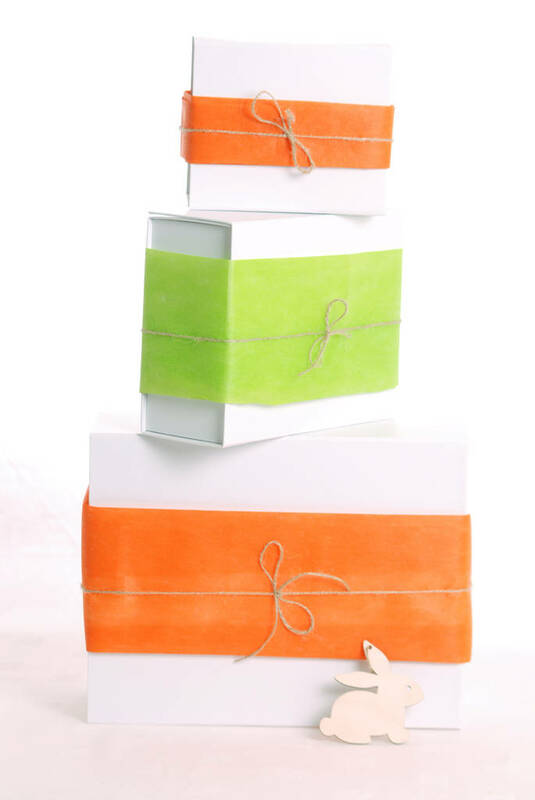 White or grey will be included in the hamper please let us know if you have a preference. 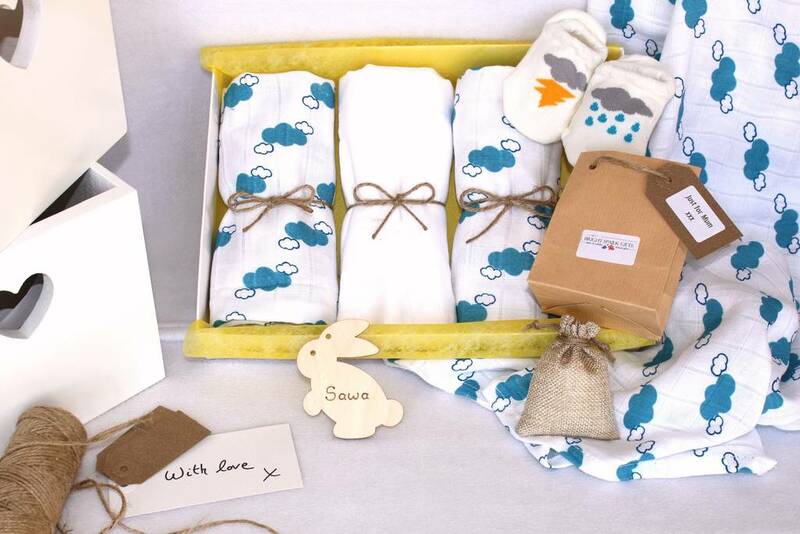 A new mothers essential item, doesn't have to be plain white, this lovely bright cloud print will be easy to find in the change bag. The bamboo & organic cotton is super absorbent and very soft. 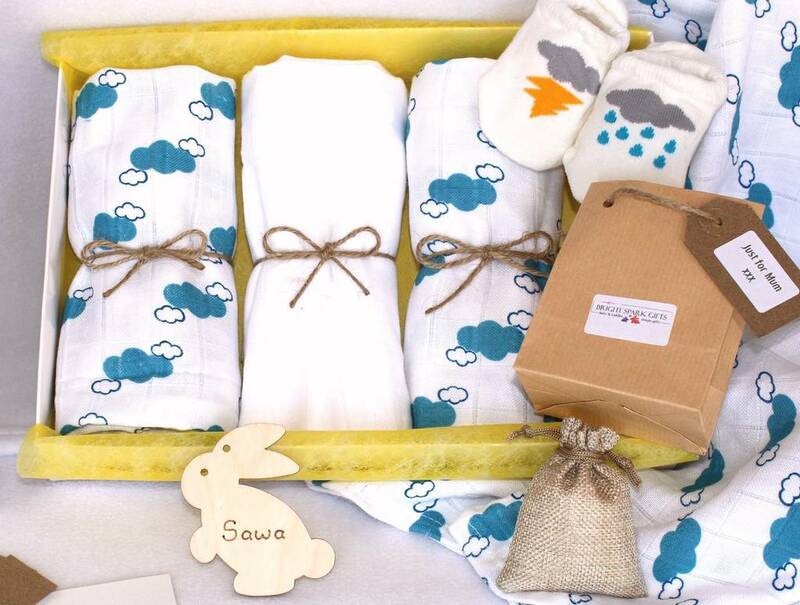 A white plain cotton muslin is also included, they can be used for mopping up little spills, covering up whilst breastfeeding, swadlding or a burp cloth.